IRISH TECH EVENTS company Web Summit has announced plans to hire 40 staff – including a person given the task of dealing with the Irish government. The Dublin-based company, which currently has 150 staff on its books, runs a number of tech events around the world in Portugal, Spain, Hong Kong and the US. The firm will be hiring for a range of roles including data-based engineering positions, a producer for its speaker stages and an advisor for the Dutch market. One notable role the company has sought to fill is an ‘Irish government affairs manager’ for its Dublin office, with the candidate expected to have over eight years experience in public policy and government relations. The move appears to be a play by the company to repair relations with Irish state bodies ahead of bringing an event back to Irish shores. Fora understands Web Summit is considering moving its fintech event, Moneyconf, from Madrid to Dublin for future conferences. However, the company has said it is also looking into Edinburgh and Paris as possible venues. The job spec for the new role states it would involve representing Web Summit in its engagement with state agencies and “promote the values of Web Summit to the Irish government”. Good at building relationships with Irish politicians? Great because we’re not, so we’re hiring. Trinity degree not essential. WiFi works (in office, mostly). The event organisers had a high-profile and public spat with Irish officials in 2015, when its flagship event was moved from Dublin to Lisbon. Its 2014 event in the Irish capital, in particular, was notoriously beset with WiFi problems. During the war of words, Web Summit co-founder and chief executive Paddy Cosgrave variously raised concerns about traffic management, public transport and hotel costs in Dublin city. He also criticised the Irish government for not making the most of the event and published a series of emails between his company and state officials to demonstrate what it was claimed was a lackadaisical approach from government. For moving its main event to Lisbon, Web Summit will bag €1.3 million a year over a three-year period from Portuguese governments, while it has also opened an office in the city. However its main base remains in Dublin, where the majority of the 40 new positions are expected to be filled. Each of the company’s advertised positions comes with a list of perks, including fully subsidised healthcare cover, free gym membership and an “unlimited supply of fresh fruit”. This latest hiring announcement has come just over a year after the company announced plans to hire 100 people. Meanwhile in 2014, the company attracted controversy when it advertised 40 new positions but made it clear that only applicants with a first-class honours from an NUI college would be considered. However, graduates of Trinity College Dublin – where Cosgrave previously studied – who achieved the lower 2.1 grade would also be considered. 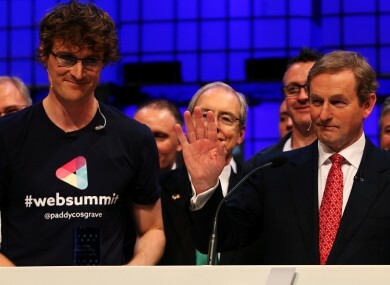 Email “Web Summit is going on a hiring spree – including someone to deal with the Irish government”. Feedback on “Web Summit is going on a hiring spree – including someone to deal with the Irish government”.